Donald Bradman was born on August 27, 1908 at Cootamundra, New South Wales. He started playing cricket at a very young age and took special interest in batting. He played for Bowral Public School and went on to score his first century at the age of 12 in 1920. He left school in 1922 to pursue his goal of playing cricket for his country. For two years he left cricket to pursue tennis. But he returned to cricket for good in the year 1925. He started to play for the Bowral senior team which played regularly against other rural towns. He impressed one and all by making impressive scores like 234 and 320 not out. These performances helped him get a chance to play grade cricket with the St. George team in 1926. He made an instant impact by scoring 110 on his debut itself. Next he was selected for the New South Wales second team. Again impressive performances helped him make his first-class debut for the NSW team at the age of 19. In 1928, he made a century on debut to literally cement his place in the side. His consistent high scores were making him go up the ranks of cricket in quick succession. He was given a chance to play in the practice match against the England team which had come to Australia to play the Ashes. He scored 87 and 132 not out which helped him get a spot in the Australian national team. Bradman was adept at making the most out of every opportunity that he got. But when it came to his 1929 test debut for the Australian team, his scores were just 18 and 1. He was dropped for the second test of the Ashes. But again he got his chance in the third test and this time he was not going to miss out by any chance. He went on to score 79 and 112 making him the youngest player to ever score a test century. He ended that season by scoring 1,690 first-class runs; with a highest score of 340 not out at his favorite SCG ground. The best thing about Bradman was that inspite of playing on bowler friendly pitches most of the time; his average was close to 100 runs per innings. Next he was selected for the Australian team that was going to tour England with scores of 124 and 225 in the selection match. In the 1930 Ashes series, England was the firm favorites to retain the Ashes. But Bradman hit scores like 334, 254, and 232 to help his team come back from difficult positions to win the Ashes 2-1. During this 5 match test series; Bradman scored 974 runs at an unbelievable average of 139.14. This 22 year old bush cricketer had gone on to become a national hero with this performance. In the 1932-33 Ashes in Australia, Bradman’s form dipped for the first time with him averaging just 40 runs per innings after the introduction of the controversial ‘Bodyline’ technique by the English team. The Australian team fared badly and conceded the Ashes 4-1 to England. In the 1936-37 Ashes Bradman was the captain of the Australian team and took responsibility for regaining the Ashes. After losing the first two test matches, Bradman scored 270 runs in the crucial third test which has been called the greatest test innings ever to help his team win that test. He scored centuries in the next two tests to help Australia clinch defeat from the jaws of defeat. 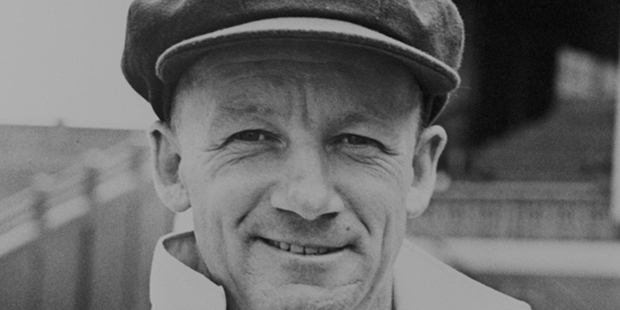 There was no one more loved and adored in Australia than Don Bradman during his playing days. In the 1948 Ashes tour to England, he amassed 715 runs at an average of close to 178.50. Their team won the series 4-0 and they were dubbed ‘The Invincibles’. In his last innings at the Oval ground, he needed just 4 runs to retire with an average of 100. But he was out for a duck which meant his average remained at 99.94. This average is statistically the greatest achievement by an athlete across any sport. He is considered as the greatest test cricketer of all time and one of the greatest entertainers that the world of sport has seen. His success and fame in Australia and abroad cannot be matched by any other sportsman in the years to come.